Roger has been taking photographs for longer than he dare remember! His interest and passion began back in the early sixties with his very first camera a Kodak Retinette which he still has to this day! Although he didn't give up his day job as an electrician until the mid nineties his hobby gradually evolved into a small business and he found himself taking on weddings, portraits and event photography. But it was his sports photography that really took off and, after cutting his teeth on local football for the Norwich Mercury, he got his big break as the official Norwich City photographer in 1978. He had a fantastic 30 years at the club covering the Canaries Milk Cup victory (yes that's him with the cup in the photo above!) and their legendary season in Europe and their promotion to the Premiere League. 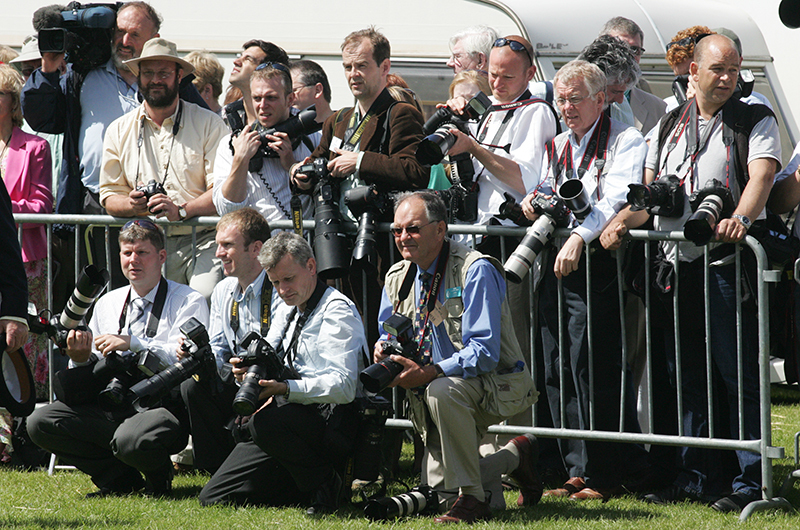 As well as football Roger has undertaken a wide variety of photo assignments and has photographed most members of the Royal family at events around Norfolk - and in particular at the Norfolk Show where he was the event's official photographer for 16 years.